Dishonored 2, the long-awaited sequel to Bethesda’s 2012 Game of the Year, Dishonored, hit stores in November of 2016. Since its release, Dishonored 2 has had all who’ve played it in love with its updated gameplay and features. Dishonored 2 continues the story of the Royal Protector, Corvo Attano, and Lady Empress Emily Kaldwin. The game brings with it the same style as the original. Including some familiar faces along the way. However, Dishonored 2 surpasses its predecessor with some new enhanced features that give gameplay a much-needed boost of creativity. Here are a handful of the best new features Dishonored 2 has to offer. One of the best features in this game lies in the characters use of powers. 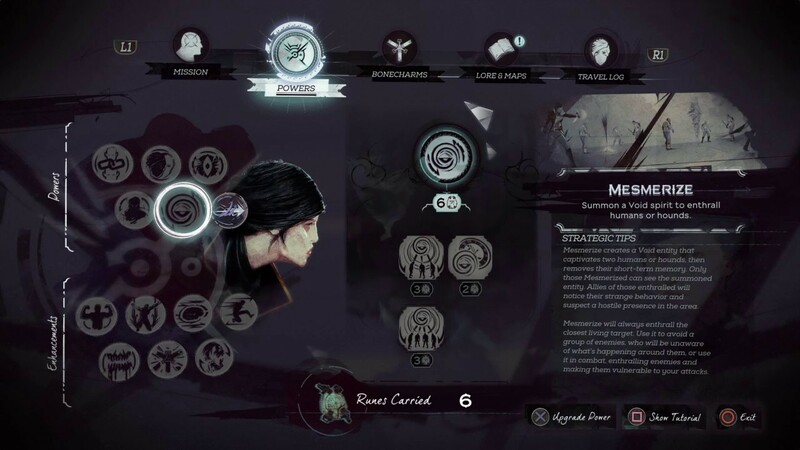 Depending on who you choose to control, Emily or Corvo, both have powers specific to them. Corvo, as you have played in the first game, has the same powers. However, this time around you can further expand those. You’re still equipped with Dark Vision, Windblast, Blink, Possession, Devouring Swarm, and Bend Time. As well as the basic enhancement like Shadow Kill, Vitality, and Agility. These powers now can be further enhanced. Giving players more options on how to spend runes. For Instance, Devouring Swam use to have only 2 levels. Small and large swarms. Now, you can choose options like Greater Swarm, Tiny Swarms (multiple small swarms), and Rat Piper (rats will follow you). Emily has an entirely new power set from her father. Excluding the basic enhancement of course. Emily has the power of Shadow Walk. Which allows here to take the shape of a shadowy figure and stealthily attack or sneak. Mesmerize, is new and gives the ability to summon a spirt that attracts attention and captivates onlookers. Far Reach is about the same as Blink. You also have Dark Vision, the same as Corvo. Domino is the power to chain targets together. Once activated, you can link targets and only need to attack one of them and they all have the same result. The coolest power of Emily’s is Doppelgänger. This powers allows you to summon a specter that is identical to Emily. Which can be upgraded to fight, draw attention, or switch places.